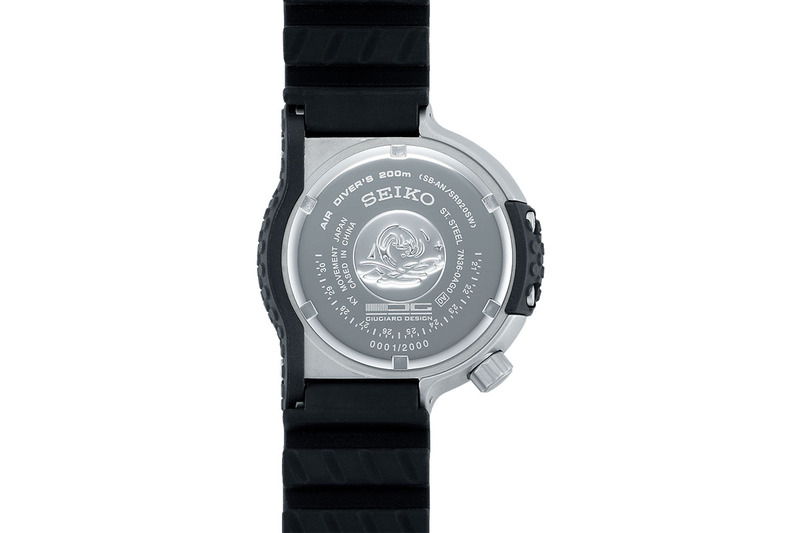 The collaboration between the famous Italian designer Giugiaro and SEIKO continues in full steam. The latest models out of this partnership are the SBEE001 & SBEE002. The very first result of the brand partnership of these companies was the Giugiaro Design model that we all know as Ripley’s Watch thanks to its appearance in the cult blockbuster Alien (1979). The model, which has been highly praised by watch aficionados with its unique design which was considered pretty futuristic back then, was later re-launched in a two version collection. Click here for a detailed version of those re-issue models. 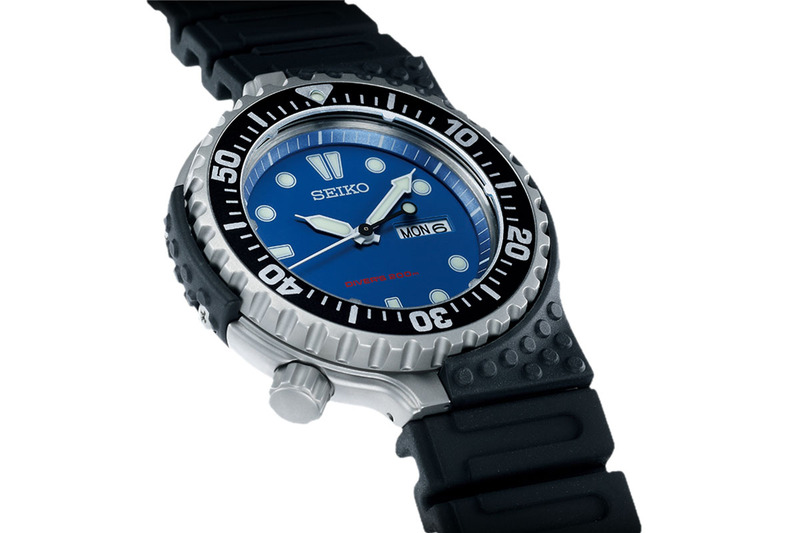 Later on, the collaboration continued with various models including the Astron Collection which was added to the Seiko product line a few years ago. The new models Ref. 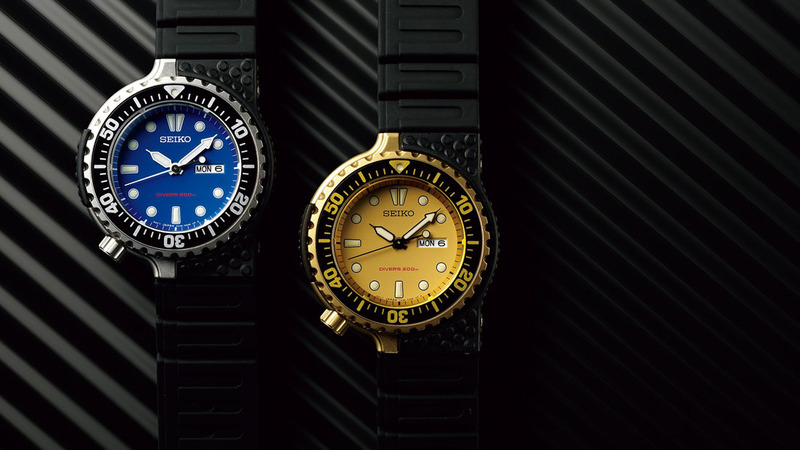 SBEE001 & SBEE002, which are listed under the brand’s Diver’s Watches, are inspired by a timepiece from the archives of Seiko which has also bear the Guigiaro signature. The models share the same stainless steel case measuring 48mm x 43.8mm x 11.2mm and sporting plastic supports for shock protection. The winding crown is located at an unconventional 7 o'clock position. 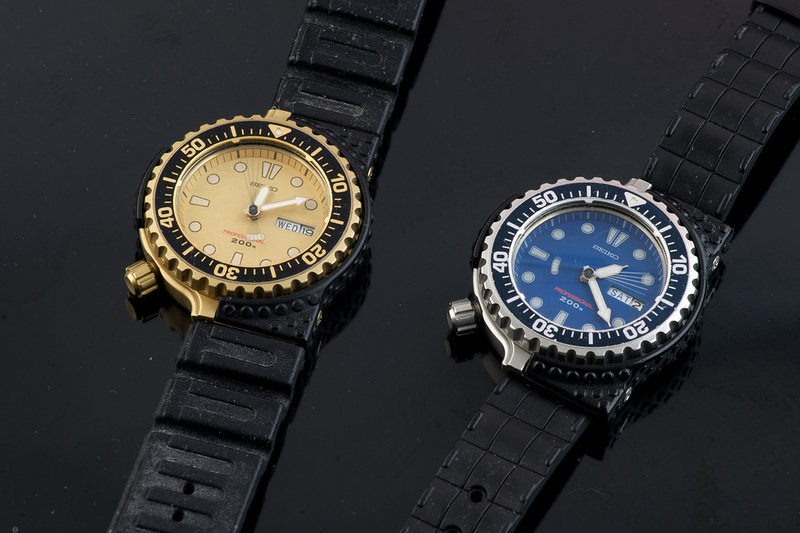 The models are offered in two different dial colors as yellow and blue. Bearing many similarities with the past version, the dial features SuperLuminova applied indices and hands accompanied with a display at 3 o’clock for the day and date function. The new models are powered by the Caliber 7N36. Quartz movement offers an accuracy of +/-15s per month. 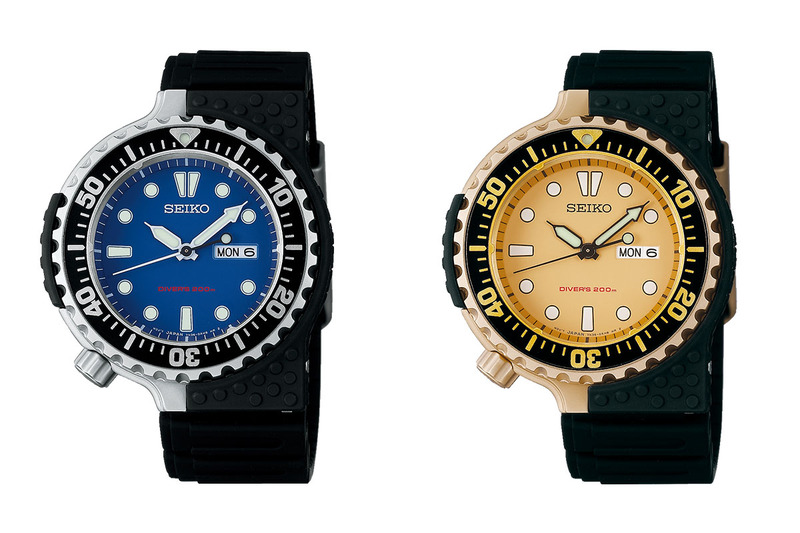 The Giugiaro Design signed SEIKO Diver models will be limited to 2000 units and will be sold in Japan only. The stainless steel will be retailed at 335,00 EUR while the gold tone PVD coated version will be offered for 375,00 EUR.